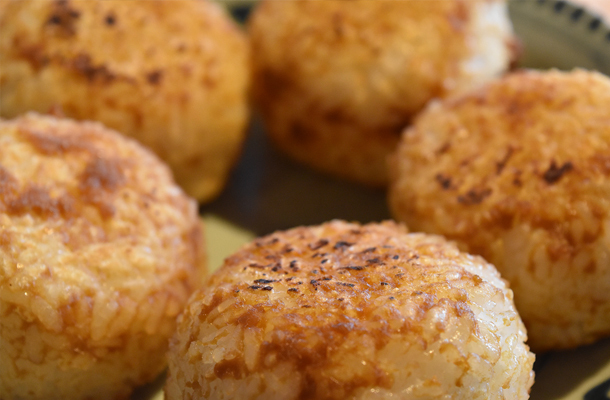 Kazue Wako loves both cooking and eating local specialties from her hometown. One day, she suddenly recalled a favorite dish from her childhood. “I haven’t eaten that for a while. I don’t even know how to make it”, she thought with a tinge of sadness. On special events such as wakes and weddings, extended family gather from far and wide to share these dishes. Youngsters would learn from their mothers and grandmothers how to make specialties from their region, handing down these traditions through the generations. Sadly, we have begun to lose this simple yet rich heritage. Kazue has now chosen OIGEN ironware as her cooking partner. For her, this partner draws her closer to nature from a lifestyle that has become overly convenient. That’s why she choses a wooden spatula over steel for her beloved partner. Ironware and wooden utensils. These simple tools provide joy to Kazue, allowing her to enjoy local ingredients and cooking all the more. President of Yamamba Factory, providing culinary delights from the mountains of Esashi. Fern shoots in spring, cucumbers in summer, and in fall the fruit of the mizu plant are harvested in their prime and pickled for a simple, refined taste. 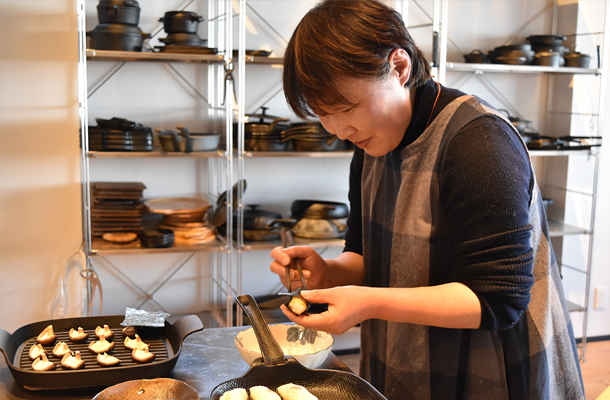 She is also active as a ‘Traditional Food Expert’, preserving the tradition of Iwate’s food culture.